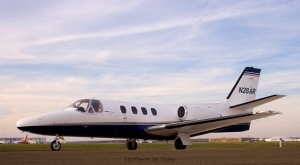 1972 Cessna Citation 500 Longwing Single Pilot SOLD!!! Airframe total time- 8,149 hours / 8486 cycles. Interior-March 2010-Beige and Taupe; fire blocked. Specifications an/or descriptions are provided as introductory information. They do not constitute representations or warranties of Northern Jet Sales, LLC. Accordingly; you should rely on your own inspection of the aircraft.